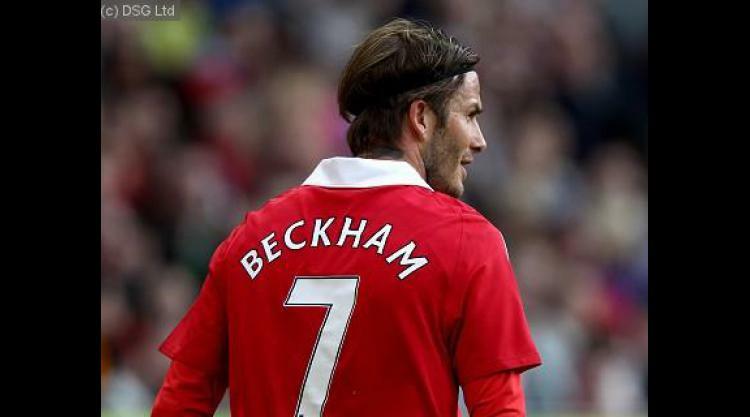 David Beckham has not been picked for the British Olympic football squad, the player has revealed. The 37-year-old had hoped to be named as one of three over-age players but has not been selected by Olympic team coach Stuart Pearce. It is understood Ryan Giggs, Craig Bellamy and Micah Richards will be the three over-age players confirmed by Pearce next week. Beckham said in a statement released to the Press Association: "Everyone knows how much playing for my country has always meant to me, so I would have been honoured to have been part of this unique Team GB squad." He added: "Naturally I am very disappointed, but there will be no bigger supporter of the team than me. And like everyone, I will be hoping they can win the gold. "As a Londoner I was really proud to have played a small part in bringing the Olympics to my home town as part of Seb's [Coe] team and I can't wait for the Games to begin and will enjoy every moment along with the rest of Great Britain." Giggs and Bellamy were widely expected to be included but the call-up of Richards is also as much of a surprise as the Manchester City defender being left out of England's Euro 2012 squad - after which he refused to go on standby for the European Championship. Other under-23 players who are almost certain to be confirmed by Pearce include Arsenal's Aaron Ramsey and Tottenham's Gareth Bale.